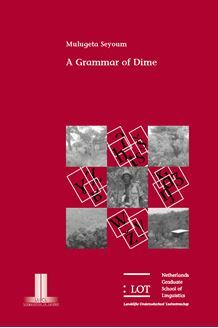 This book presents the first comprehensive study of Dime, an endangered Omotic language spoken by about 5400 speakers in south­west Ethiopia. The study presents an analysis of the phonology, morphology and syntax of the language as well as a sample of ten texts and an extensive word list. The author identifies a number of interesting comparative and typological phenomena. These include a series of uvular and velar fricatives which have not been reported in related languages. Dime has a two­way grammatical gender distinction and a special plural­agreement, both manifested on modifying categories. Rather than inflecting the same base pronoun­forms for various cases, as is common in other Omotic languages, Dime uses distinct subject pronoun sets that are formally different from object, dative and other pronoun types. Phrasal word­order is flexible; there is also a degree of flexibility in marking grammatical morphemes such as number, definiteness and case which may be marked either on the head noun or on the modifier or on both. Sentence­type distinction between interrogative and declarative clauses is partly expressed through morpheme reduction on the verb. That is, in the declarative, person­agreement morphemes are obligatory whereas these must be dropped in the interrogative. These and a number of other issues discussed in the study make the work interesting for specialists on Omotic and Afroasiatic studies as well as to general linguists interested in language typology.